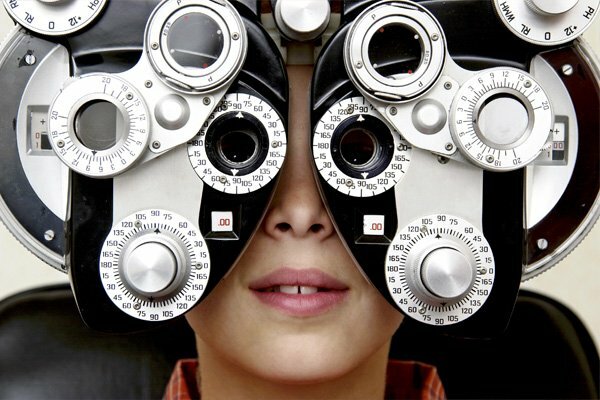 Eye exams are an essential part of your overall health. If you wear glasses or contacts, you should have a comprehensive eye exam annually. Even if you don’t think you have any vision problems, you should get an eye exam every two years to check for any problems that might have developed. Eye-Mart offers eye exams for only $45 with a complete eyewear purchase, and walk-ins are always welcome. We are owned and operated by a licensed Doctor of Optometry, so you know that we care about your eye health. Click the button below to schedule an appointment, or call your local Eye-Mart. Eye-Mart accepts walk-in patients up to hour before closing, but if you would like to make an appointment to ensure we have a slot available, click below to book an appointment at your nearest Eye-Mart location. If you’re not sure what your nearest location is, please see our Locations page for all of our locations. We believe in protecting your eye health. If you want to learn more about why a regular eye exam is important, we have created this handy guide to tell you about the benefits of eye exams and the problems they can help us prevent. We try to make eye care as affordable as possible for you, but we also accept several forms of eye insurance. Click below to see our list of insurance accepted.